PayTech Awards 2018: shortlist unveiled! We’re thrilled to announce the shortlisted entries for PayTech Awards 2018! 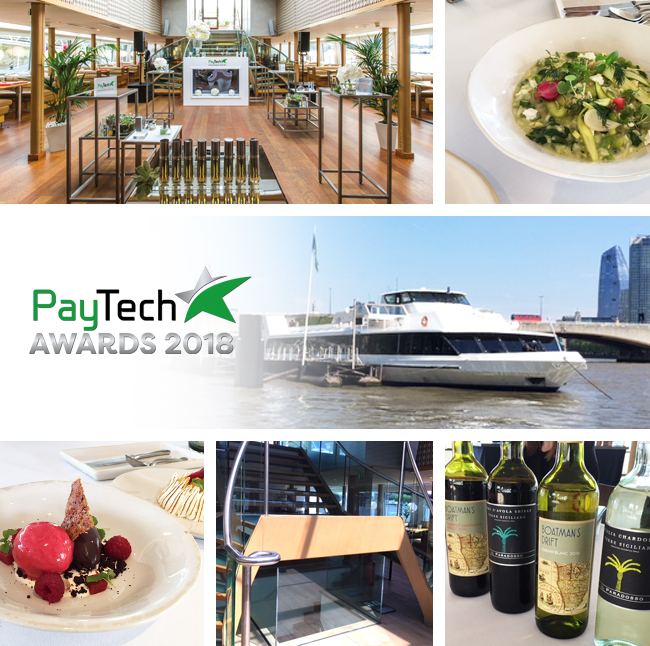 We have received a substantial number of high-quality entries for PayTech Awards this year – thank you to everyone who took part, and congratulations to those who made it to the shortlist. The Awards ceremony will take place on 13 July 2018 on Silver Sturgeon, a luxurious 21st century yacht, embarking from central London and cruising past all some of London’s most unforgettable landmarks along the Thames. What better way to celebrate summer and tech innovation than on a river cruise, enjoying spectacular views, gourmet food, celebrity host entertainment, company of outstanding industry figureheads and of course the Awards ceremony itself! Interested in getting on board (pun intended)? Click here for more information and table bookings. Enter by Friday, 20 April! We are proud to announce the winners and highly commended at this year's PayTech Awards! Phew, PayTech Awards entry deadline extended! The final chance to enter is Friday, 4 May 2018.